For new strings (like custom fields, features and amenities) to register – you must have the option to register new strings on. We recommend to keep it only when you’re logged in as admin as this is a setting that will slow down your site if used on limited servers. 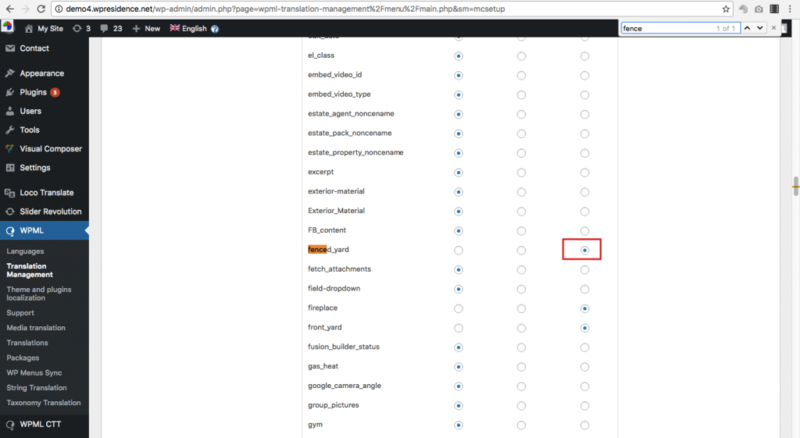 Also, since 3.0 version new strings register in the list when you access a page with those string on the page from front end. This means you must check all features and amenities to a property – and then you access the property in front end. The strings then register in STRING TRANSLATION. Same applies for custom fields. You must fill in all custom fields for a property post. Save. 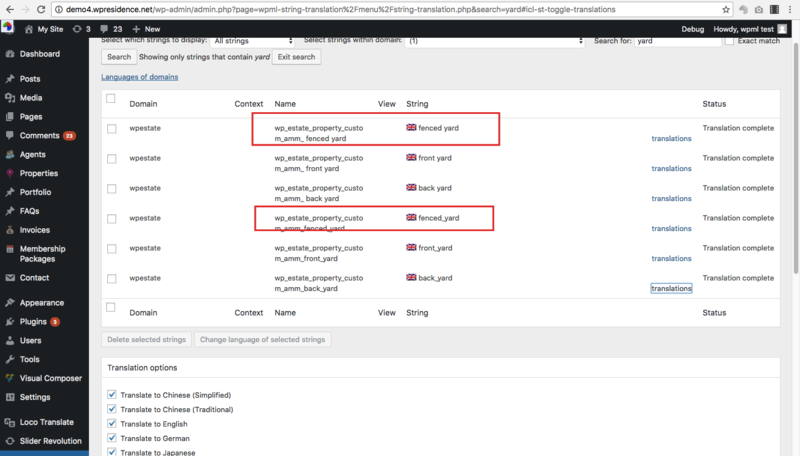 Then access the property page in front end. 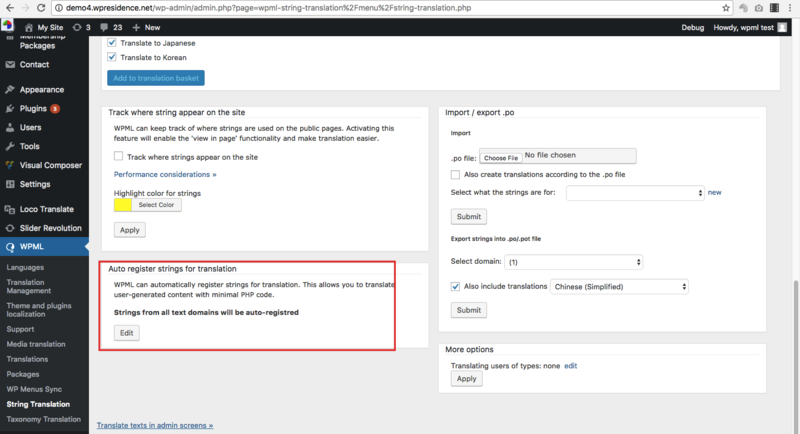 Then check String Translation to find the new custom fields. 4. Check String Translation. 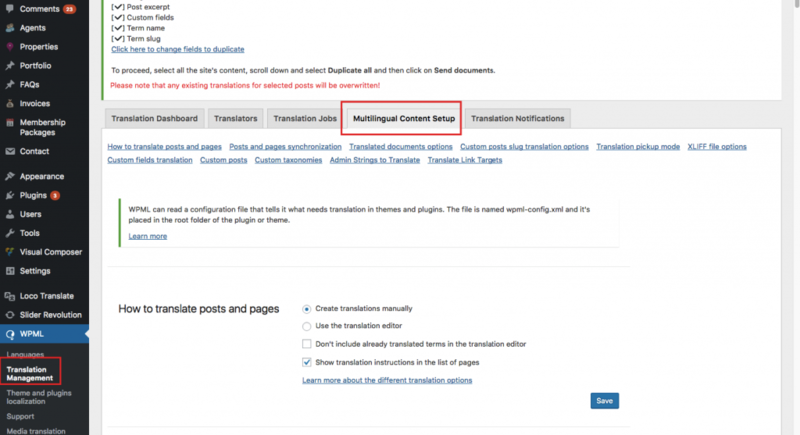 There must be 2 instances for each feature – and translate both.